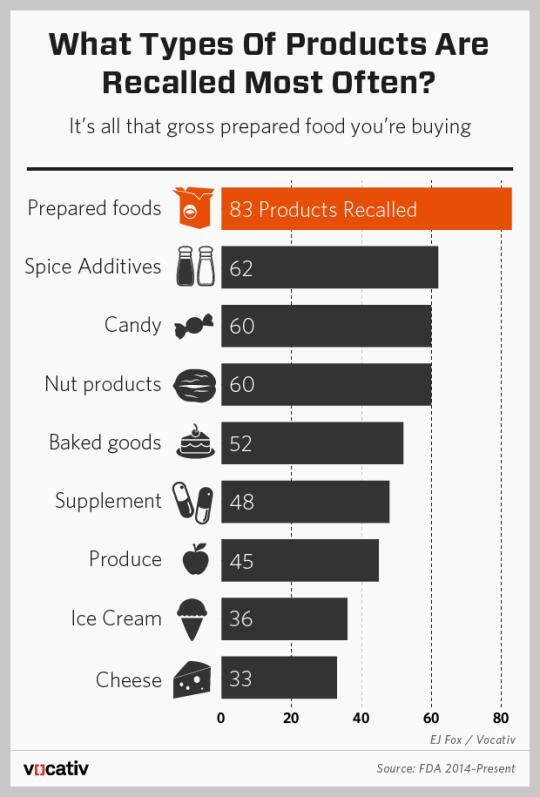 Vocativ analyzed the FDA’s food safety database, and discovered 737 recalls since January 2014. The main reasons are either undeclared ingredients—allergens like milk, soy and nuts—or confirmed contamination. So, who are the culprits? Since 2014, about 10 percent of recalls are ready-made meals. This is another nail in the coffin of processed food.